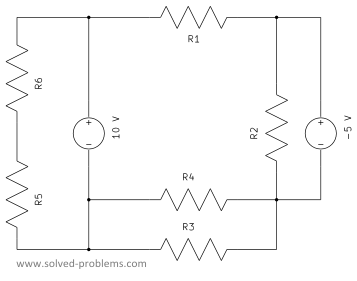 The voltage drop from a node to the reference node (ground) is called the node voltage. 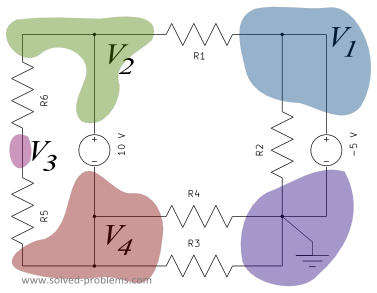 To keep definition simple, node voltages are usually defined with positive polarities. Two of the nodes have 4 elements connected to them. These are the best candidates to be reference point. Let's label one as reference node. Now, we define node voltages for the remaining nodes. 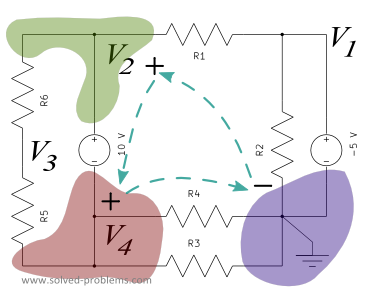 These node voltages represent the voltage between the node and the reference. 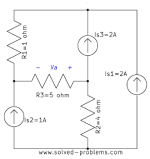 When there is a voltage source between a node and the reference node, the node voltage corresponds exactly to the voltage of the voltage source. 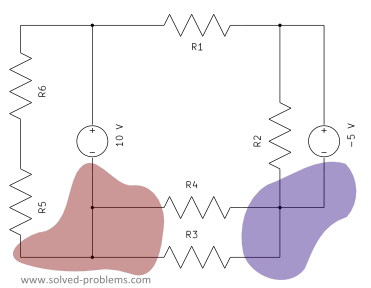 In our example, we have two node voltages. 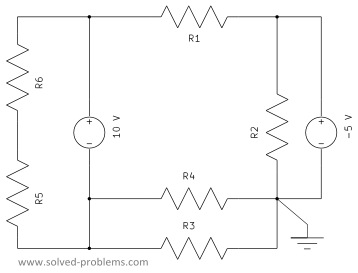 The voltage source is placed between the reference and the node labeled as . Therefore, . KVL around the loop: . Recall that the reference node is always defined to be the negative polarity of all node voltages. this is so much better than my teachers explanations and my books, thank you so much! keep them coming! Only 2 days later, I have final exam.Thank you so much for that. Hi to every body, it's my first pay a visit of this webpage; this webpage includes awesome and really fine stuff designed for visitors. Please check out our Facebook/Google pages too. There are some many students around who can help you in electronics. thank you soo much for all these informations.............thanks a lot.........also tell me rule that how choose nodes in a circuit ?? ?